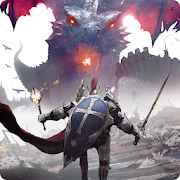 Darkness Rises is a revolutionary Action RPG that blends gorgeous graphics, innovative gameplay, and intense boss battles, all within the palm of your hands. This post will show you how to play Darkness Rises on PC with MEmu App Player. The game can now be download officially from Google Play and iTunes. Alternatively, if you would like to directly install the APK onto your laptop or PC, you can install it from third party sites like apkpure. Here’s the link to download. I recommend playing Darkness Rises on PC using MEmu Player. If you haven’t downloaded already, please install it here. In MEmu Player, install the APK you downloaded, open APK icon along the right side. Once installed, you will see it on your home screen list of apps. Simply open it and the first launch will begin to download game resources. Once complete, you will able to play Darkness Rises on your computer!